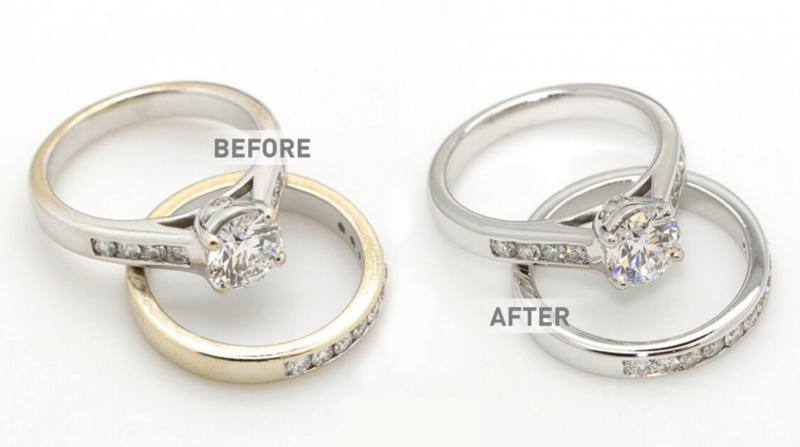 Rhodium plating is used to increase the durability, luster and light reflection of a piece of jewellery. Get 2 pieces of Jewellery Rhodiujm Plated for as little as £50. We GUARANTEE that you will be pleased with the end result.